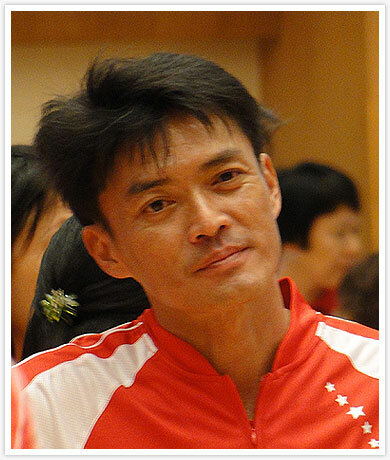 Lee Cheng Wei – The young sprinter have been having a mixed season. After getting injured, he was sidelined for a couple of months doing non-impact conditioning, but the NTU undergrad, in the same position of fellow relay sprinter, Calvin Kang, is recovering well. 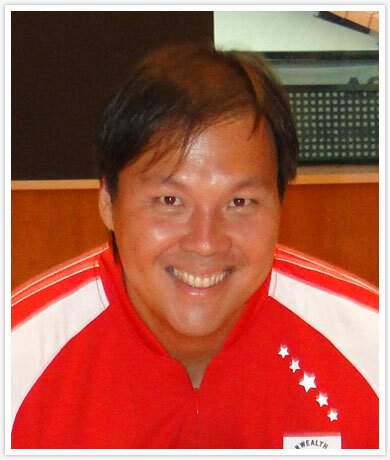 Gary Yeo Foo Ee – One of the fastest starter in the Republic stable of sprinters. The SMU undergrad has improved remarkably in terms of his speed endurance. 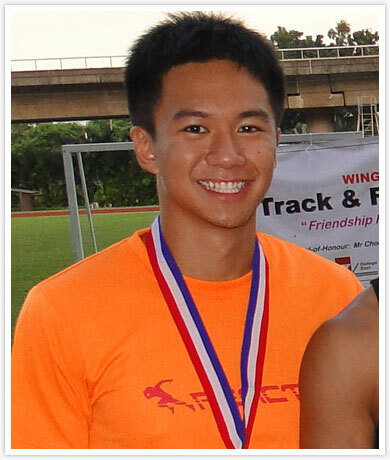 He ran a sublime season-best and an all-time 9th best timing in the 200m event by a Singaporean with a time of 21.64 seconds at the recent varsity competition. 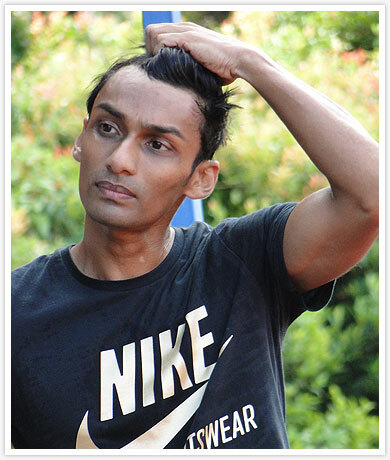 UK Shyam – The ‘ageless’ sprinter who holds the men’s 100m record, is still doing credible timing even at the age of 34-years-old. He brings a wealth of experience to the young relay squad. 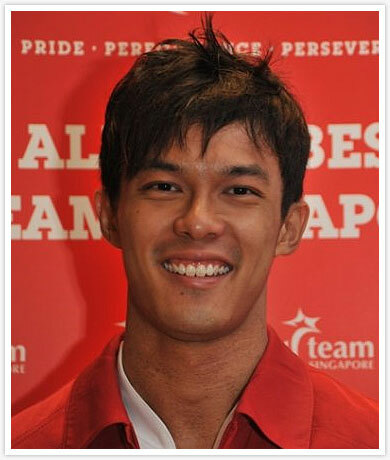 Md Elfi Bin Mustapa (also running 100m) – A late bloomer in athletics, this prime-league soccer player turn sprinter has been a revelation since discovered by coach Melvin Tan. 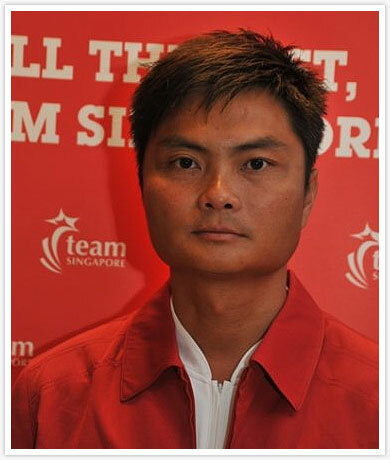 We’re hoping his recent motorbike accident won’t hamper his performance in Guangzhou. 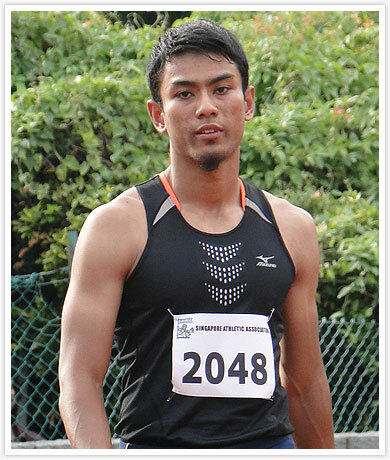 Md Amirudin Bin Jamal (also running 100m) – The 23-year-old excellent form this season in part has been his total dedication and commitment for his sport. The NUS undergrad even took a semester off studies to focus on the Commonwealth and Asian Games. 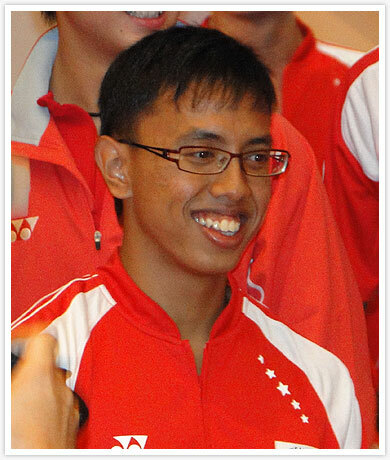 Calvin Kang Li Loon – The National Serviceman who is on a comeback trail from an injury, recently anchored the men’s relay team at the recent Commonwealth Games. They finished an encouraging 10th out of the 19th relay teams that participated in the 4x100m event. 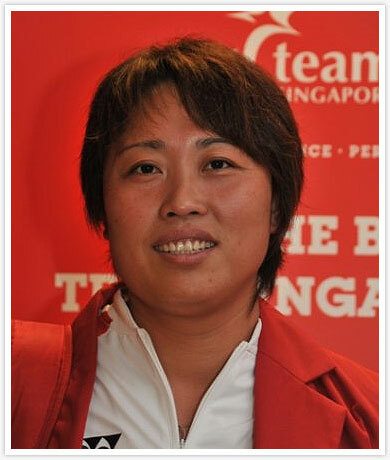 Zhang Gui Rong – The 3-time SEA Games gold medalist in the women’s shotput will be in a whole new playing field when she’s up competing with the best of Asia in Guangzhou, but the 32-year-old has targeted herself a bronze. Rachel Isabel Yang – The diminutive pole vaulter disappointingly has not been churning results in her recent competition outing, but the Republic sole woman pole vaulter is hoping to improve her national mark of 3.81m set earlier this year in August. 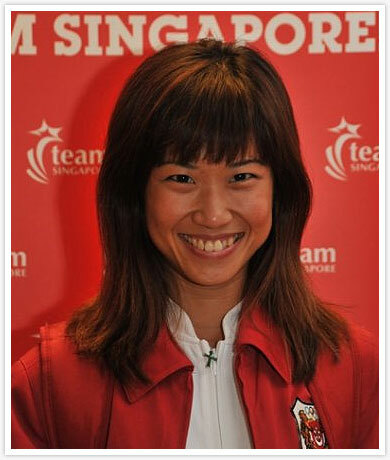 Amanda Choo Sze Min – The 23-year-old teacher is hoping to go under the 12 seconds barrier in Guangzhou. Amanda who holds the current women 100m record which stands at 12.01 seconds (still being ratified) is hoping the stiff competition at the Games will propel her to a new national record. 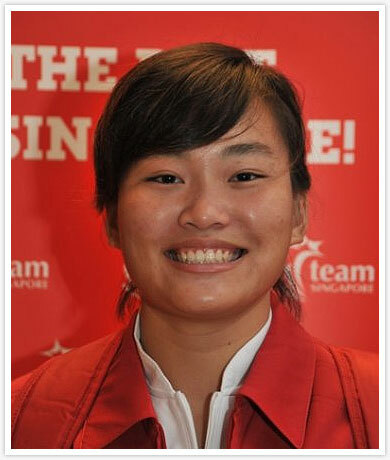 Wan Lay Chi – The local born thrower has been in scintillating form in her recent competitions. 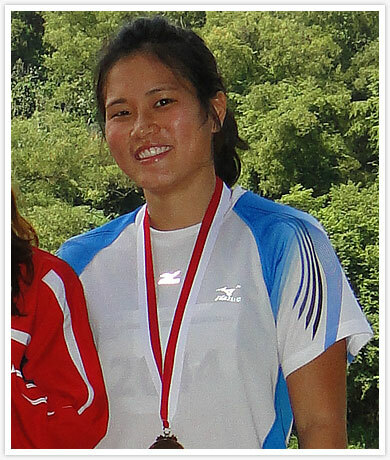 She threw a season-best at the Thai Open competition with an effort of 46.83m. Bon voyage, and do us proud!